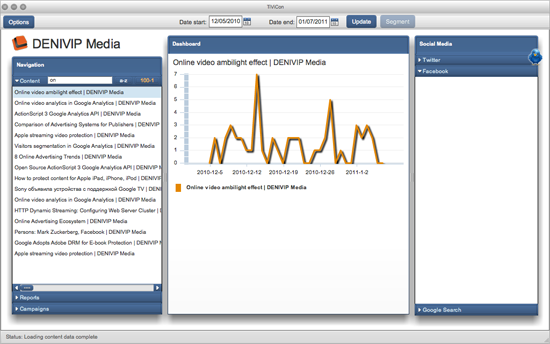 Today, we are happy to announce the first alpha version of TiViCon, our AIR based application for Web analytics and online content marketing. We use it ourselves to promote our blog, corporate Web site and demo projects. This way we can get an insight into what information is more popular and which promotion tools are most effective. 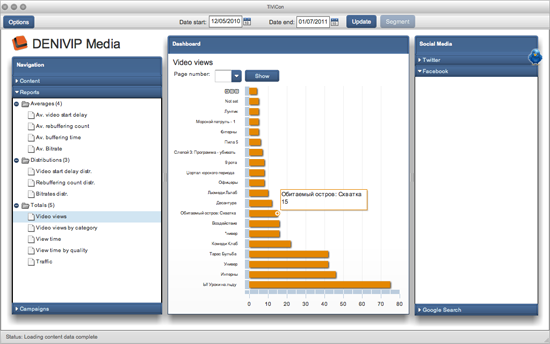 TiViCon enables the main features of Web analysis and online marketing, making them readily available in a single easy-to-use and intuitive interface. At the same time, for more complex analytical tasks, you can use traditional tools. 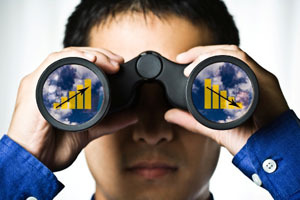 Web analytics and online marketing now require a variety of skills, and often involve dedicated professionals for quality performance of these tasks. We hope that with TiViCon you will easily tackle these tasks without resorting to the gurus of Web analytics and online marketing. Analysis of content promotion in social networks, such as Twitter or Facebook. We have yet a long way to run in adding new analytical features to integrate with various Web projects and fully cover the online analytics needs of our users. For the trial period the service is absolutely free, and most features will also remain free in the future. We really appreciate your feedback, suggestions and recommendations. We would be happy if you share your insight about our project. This will surely make it better and more appropriate to your needs. The application uses Google Analytics API to obtain and display statistics. The data that is not available in Google Analytics is stored in a local database. This allows you to enhance the statistical data with detailed descriptions and links with your CMS. An important benefit of the product is the maximum use of open and free services, so you can minimize expenses. For almost all the modules that could be useful and applicable in other projects, we have published libraries with source code. Most importantly, this applies to Google Analytics API library for ActionScript 3. Hopefully, this will nurture more convenient tools to interoperate with Google Analytics. Below are screenshots of the application interface. To run the application, you should install AIR version 2.0 or higher. The application is downloadable from here. Technical support is offered through the project page. This entry was posted in Analytics and tagged analytics, business, Google Analytics, marketing, promotion, segmentation, web. Bookmark the permalink.